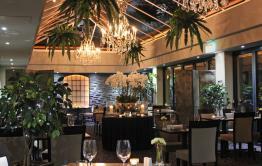 Mango Tree is located in Belgravia and serves traditional and exquisite Thai cuisine in a modern and stylish venue. The restaurant has won numerous awards, commending both food creations and polished service. 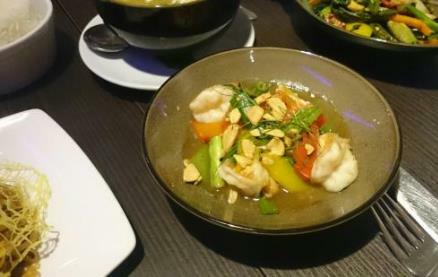 Mango Tree offers a spacious and welcoming carefully lit interior, reminiscent of the restaurants in Thailand and has been feng-shui designed to enhance the dining experience – as a result, guests can really appreciate the traditional Thai service and world-renowned hospitality. 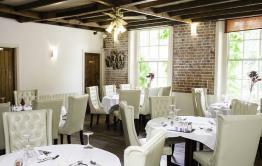 The menu provides for innovative yet classic cuisine of the highest calibre. Using the very finest ingredients sourced from the best suppliers, both locally and abroad, the restaurant serves genuine Thai dishes from each of the four main culinary regions: rich and mild dishes from the north, spicy food from the east, mild dishes influenced by the Chinese cooking style from the central region, and hot and spicy food from the south. Diners can choose from dishes such as pla pow, a grilled fillet of sea bass wrapped in banana leaf and fresh lemon grass served with spicy lime sauce, larb pla tuna, a north-eastern-style tuna salad with dry chilli and lemon grass or gaeng kiew wan gai, corn-fed chicken in green curry. Mango Tree also offers external catering for a wide range of occasions, from charity fundraisers to corporate events. Their team of highly skilled chefs can cater for all dietary requirements, whether for a black tie event or canapé reception and they can also bring the fine dining restaurant experience to your event at home if you wish. Be the first to write a review and share your experience at Mango Tree with other diners.